Economical with 20d engine. Handles incredibly well for an SUV. Very quiet and refined at speed. Huge boot space. Decent value alongside the competition. Electric boot as standard. Rear legroom is limited with taller driver and front passenger. 30d is far superior but expensive to buy new. 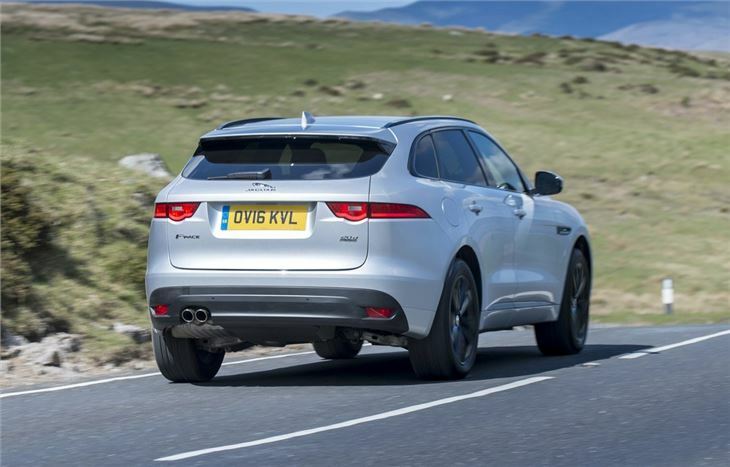 The F-Pace is Jaguar's first ever SUV but there's more to this than meets the eye. For starters - and quite surprisingly - it's not based on a Land Rover. Instead Jaguar has developed the F-Pace itself using its own lightweight aluminium structure - the same that's used for the XE and XF. Of course it does share some things with Land Rover. It's engines being the main ones. The most popular F-Pace is the 20d which uses the same Ingenium diesel engine as the Land Rover Discovery Sport. Surprisingly for this size of car, it comes with a manual gearbox and the cheapest version is two-wheel drive and around £35k. However, the F-Pace is far better with an automatic gearbox and all-wheel drive, with official economy only suffering slightly at 53mpg. The 20d engine has decent power, although it does lack the effortless in gear power of the 30d and as a result can feel strained at times. But then it's far cheaper to buy and run. The F-Pace is competitive in terms of price with rivals like the Audi Q5 and Mercedes-Benz GLC but offers more interior space. That means a big boot and enough width for three to sit pretty comfortably in the back, albeit with a wide transmission tunnel. The F-Pace really excels is when it comes to handling. It matches the excellent Porsche Macan for cornering prowess and feels more like a sports saloon than a big SUV, with surprising agility. And that's not at the cost of ride comfort either, the F-Pace is very smooth and refined on the motorway with very little noise. Interior build quality is very good, as we've come to expect from Jaguar, although the design does feel a little ordinary when compared to something like the GLC. What is much improved is the touchscreen system. Gone is the grainy display and clunky operation of older Jaguars, replaced by a far superior system that's simple to use. 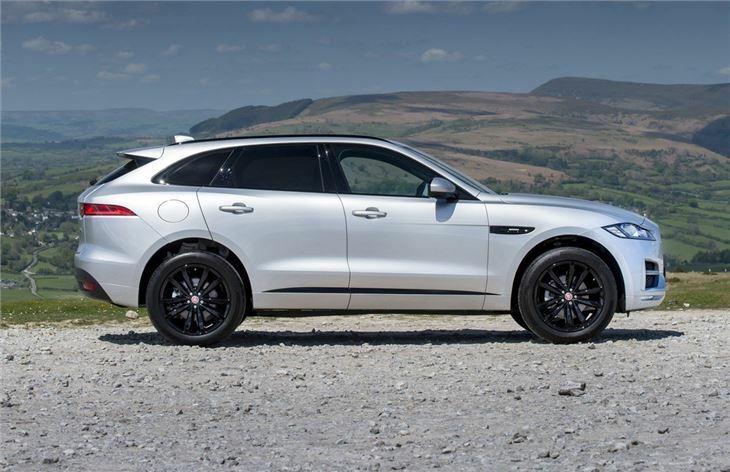 There's plenty to like about the F-Pace, not least its imposing styling and refined nature. The 20d is decent enough but doesn't really sparkle, however the Jaguar makes up for that with very keen handling and a comfortable ride. But what will attract most people is the value for money it offers along with low running costs. It makes the F-Pace an incredibly attractive SUV. Amazing Car But Early Fault.